This is my final post from the Butterfly Exhibit at Brookfield Zoo. I hope you enjoyed these beautiful insects as much as I did. I wanted to conclude with a listing of plants that you can use to attract butterflies to your garden and a listing of some places you can go visit butterflies, such as the exhibit at Brookfield Zoo. 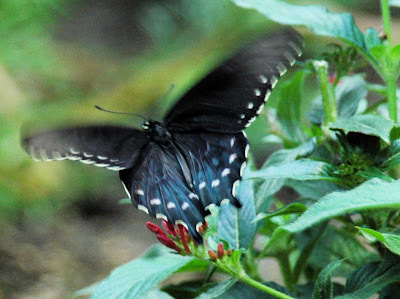 You can find a listing of places to see butterflies, such as the Butterfiles Exhibit at Brookfield zoo at The Butterfly Conservation Initiative. Thank you for stopping by. I hope you enjoyed the butteflies from the Brookfield Zoo Butterfly Exhibit. Tomorrow i have one final buttefly post to conclude and it is of a monarch butterfly taken at the forest preserve. I have more butterfly photographs on Flickr and Facebook. To see those you can click on the links along the left side of the blog for either Flickr or Facebook. To see more of my photography, you can also visit my Artfire studio, The Shutterbug Eye. Your pictures of the butterflies are stunning. I've very much enjoyed looking at them. I have enjoyed seeing all these beautiful butterflies!! I hope I can start attracting some to my yard! Enjoyed you butterfly photos!! I'm trying to attract more to my yard. Thanks for the listing of plants. Your tips about attract butterfly is really good. This is your great blog improvement sister. I like it!